We realize we’ve been looking at quite a few Ford models lately, despite the fact that we usually like to spread things out and highlight a wide variety of brands. 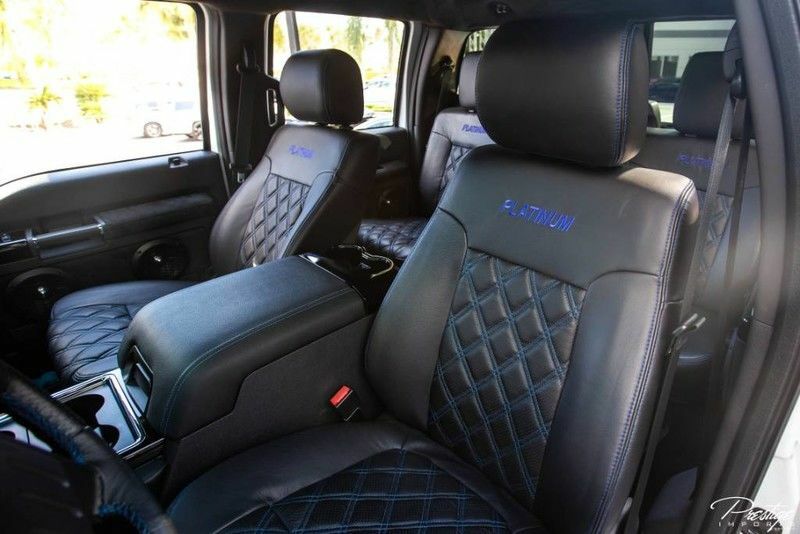 But the customized 2015 Ford Super Duty F-250 that we’ve currently got for sale here in North Miami Beach FL was just too good to not highlight today. We hope you enjoy it as much as we do because it’s absolutely incredible! 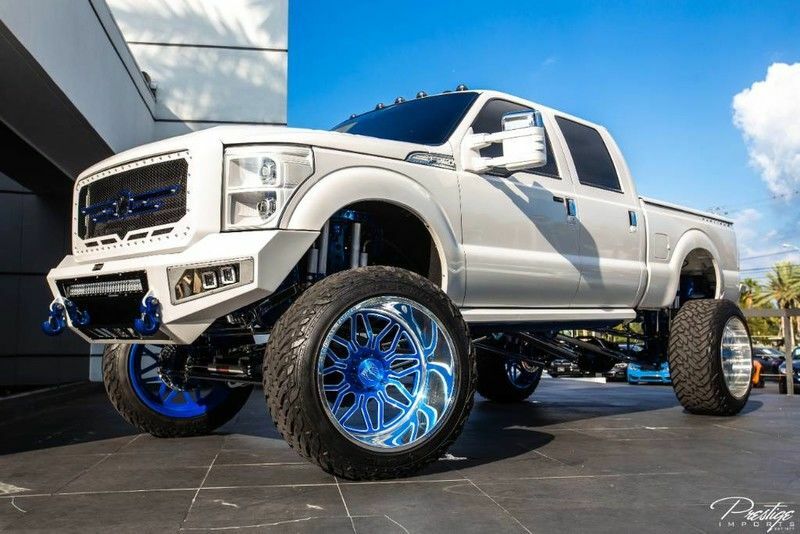 Lifted trucks are some of the coolest looking vehicles out there, and they are super popular right now, so we’re stoked to be able to highlight this stunning pickup. Starting from a Super Duty F-250 SRW Platinum model, a host of accessories, kits and other aftermarket parts have been added to the heavy-duty pickup truck to make it the attention-grabbing beast it is today. Some of the added features that make this vehicle so special include: a chrome front bumper with dual tow hooks, a full-size spare tire stored under the body with crankdown, a cargo lamp with high-mount stop light, fully galvanized steel panels, fully-automatic aero-composite halogen headlamps with delay-off, deeply tinted glass, power extendable trailer-style mirrors, a chrome rear step bumper, a unique chrome grille, and so much more. 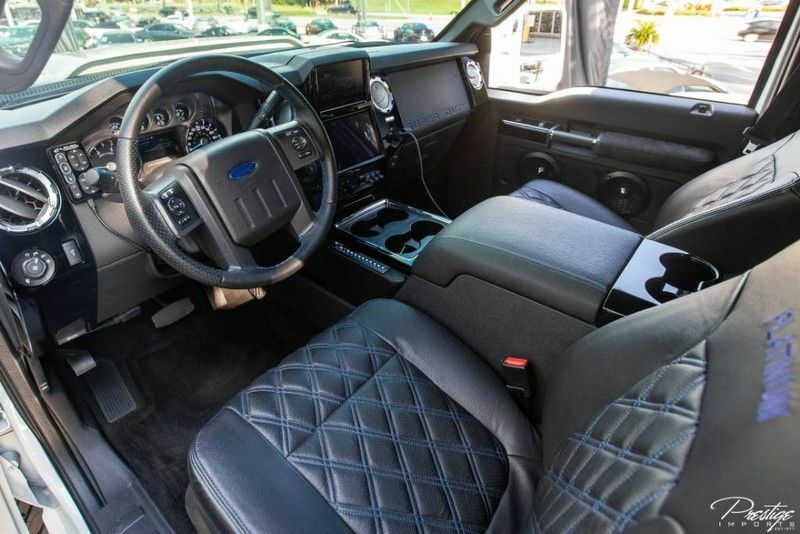 The interior is packed with great features as well, from the SYNC with MyFord Touch & SYNC services to other technologies like 10-way power-adjustable front seats, 5 12V DC power outlets and so much more. There’s too much in this vehicle to simply talk about, so come check this Ford out for yourself right here at Prestige Imports before someone else is able to claim it. Just give our sales desk a call or schedule a test drive right here on the website. This entry was posted on Wednesday, December 12th, 2018 at 7:43 pm	and is filed under Ford. You can follow any responses to this entry through the RSS 2.0 feed. You can skip to the end and leave a response. Pinging is currently not allowed.